The Be A Santa to a Senior program provides lonely or financially challenged older adults in our community with gifts during the holiday season. This year will be the Cooperative Bank of Cape Cod’s 6th year participating in the program and we’re proud to be supporting Cape Cod seniors with the donations raised during our jeans day fundraiser. The COOP employees who volunteer to participate will shop for seniors. The wrapped gifts are then picked up by a program representative to be delivered to seniors in the program. Home Instead Senior Care representatives work with local Area Agencies on Aging, local retirement communities and social service agencies to identify those who are 65 or older from their service population who fit a need criteria. These seniors are offered an opportunity to participate in the program by filling out an application and gift request. Since the program began in 2003 there have been over 1.2 million gifts provided to deserving seniors by over 60,000 volunteers. 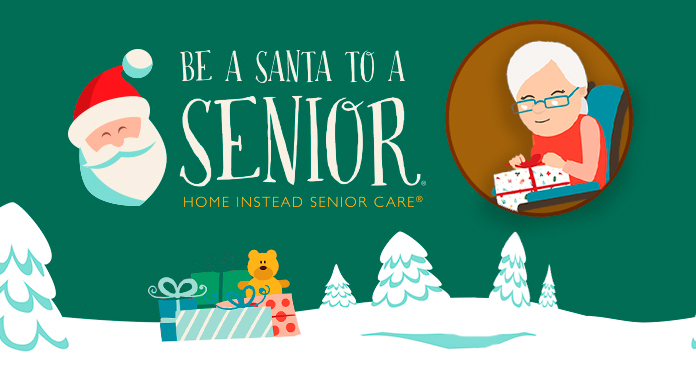 To learn how to join The COOP in helping seniors in your community, watch the video below or visit the Be a Santa to a Senior website. Home Instead Senior Care is a network of locally owned franchise offices, developed to help your family keep your aging mother, father, grandparents or friends in their home as they grow older.